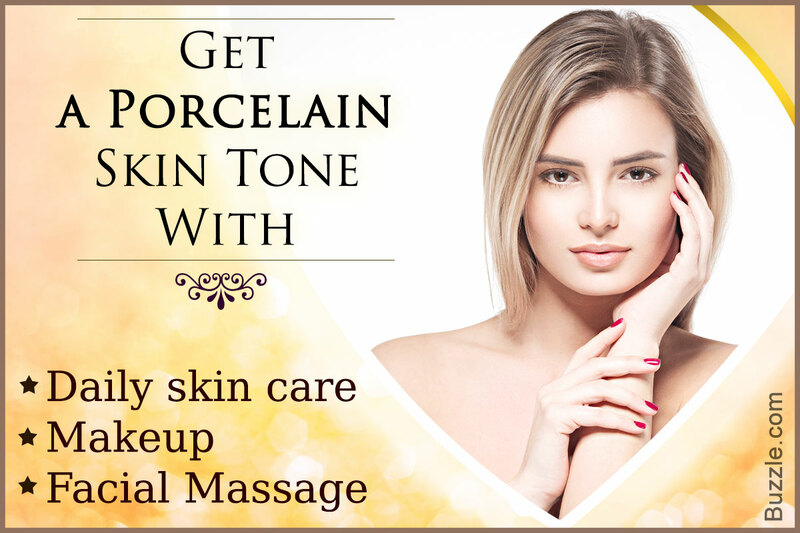 Porcelain skin is the skin which is devoid of blemishes, acne scars, and blotches. Using the right techniques, getting a flawless skin is within your reach. BeautiSecrets gives you ways to get a porcelain skin tone, with or without makeup. Go for pale pinks, soft peaches and apricots to match your porcelain skin tone! Beauty trends come and go, but the trend to have that flawlessly perfect skin could never go out of vogue! People with flawless, evenly-toned skin are said to have a porcelain skin tone. Porcelain skin is simple, unblemished, unflawed skin, irrespective of the color. Often to address someone looking beautiful, people say 'You looking like a doll!' By doll, they mean porcelain doll (china doll), which is made of bisque porcelain, and has either a stark white, or creamy white complexion. This skin tone is popularly seen in Asian women, especially Korean. 1. Take some time outta your busy schedule, and keenly understand your skin type. You could visit a dermatologist or a professional skin care clinic to get your skin evaluated. 2. Go for skin products that are meant specifically to reduce blemishes and dark spots. 3. Keep these skin care products handy―a deep cleanser, a moisturizer, and an age-defying serum. Use them on a regular basis to get the much-desired porcelain skin. It is important to protect your skin and keep it clean, which demands for regular cleansing and daily care considerations. ► To have a skin that is free of blemishes and freckles, we often think of facials masks and makeup, but don't realize that sunblock has a major contribution to having porcelain skin. It is essential to apply sunscreen before stepping outta home. This will protect your skin from sunburns, wrinkles, and also early-aging! ► Find a broad-spectrum sunblock 'cause it protects your skin from both UVA and UVB rays. Factually speaking, Korean cosmetics generally start at SPF 25/PA++, so it is recommended that you go for the one that is greater than SPF 25. 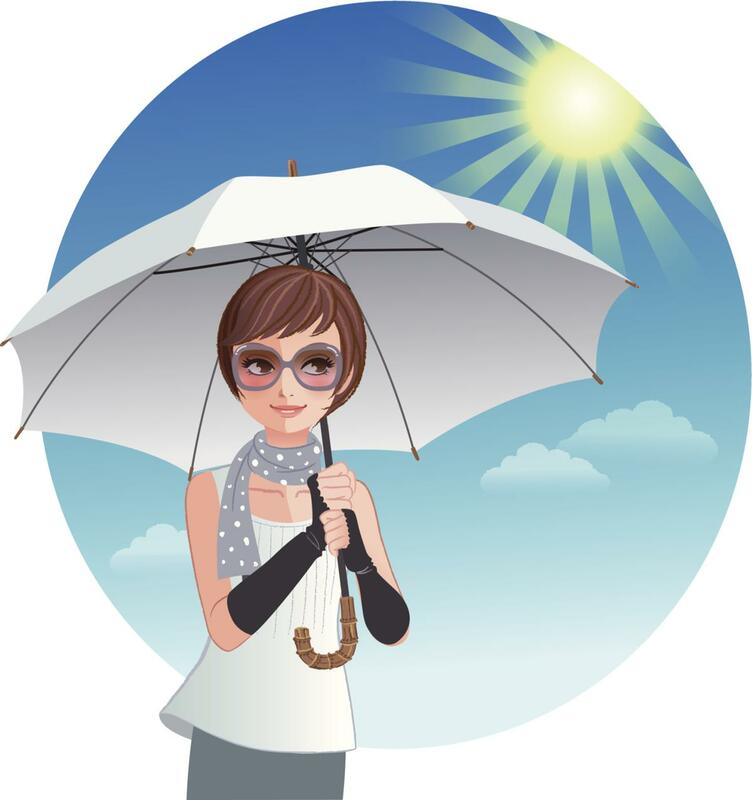 ► Apply sunblock not just on your face, but on ears, neck, and all the parts that get an exposure to sunlight. 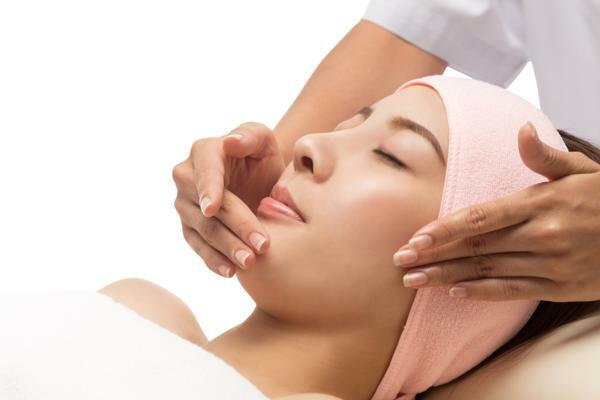 ► Again, exuviating off dead skin cells will give rise to fresh, new radiant skin. ► Fetch a good exfoliating cleanser or a scrub, and exfoliate your skin twice a week. ► You can also use natural exfoliants like sugar. All you have to do is take 2 tbsp. of sugar, add a drop or two of water to it. Lightly mix it; you'll notice the crystals on your fingertips. Gently, scrub your skin with it. Keep for 10 minutes, wash off with warm water and pat dry. ► Moisturizing is really important to keep the skin hydrated. ► Select the right moisturizer, the one that suits your skin type. Like for oily skin, choose the one that provides moisture control; for dry skin, go for the one that says balm/moisturizer! ► A good practice would be to apply moisturizer every night before going to bed. ► Keep your face clean. Use a mild face wash twice a day that cleans the dirt and removes excess oil from the skin, but doesn't wither away your skin. Wash it with water and pat dry with a clean towel. ► This you know and have heard a tons of time, but are ignorant about it! Drink a lot of water! To tell you, this is the most natural and effective method to keep your skin glowing. A minimum of 8 glasses is recommended by dermatologists. ► Try foods that are high is antioxidant content (fruits―strawberries, blackberries, etc. ), and give you the essential fatty acids (fish, walnuts, etc.). Avoid greasy food. ► Apply facial masks to cleanse and smoothen your skin. Choose the one that matches your skin type. You'll easily get these at your spa salon, or any beauty or cosmetics store. ► You can also go for homemade masks. Apply a mashed potato, or tomato pulp on your face (for 15 minutes) to lighten the skin blotches. Lemon, honey and milk are the conventional skin lighteners. You could also go for fruit face packs, or yogurt masks. Regarding yogurt, we would suggest that people who have oily skin should avoid it, as it has a buttery texture and would add up oil. These natural remedies are less likely to fight with your skin cleansers. ► You can also go for facial massages in the spa or do it yourself. Use fingertips or handheld rollers for massaging. This will stimulate blood circulation under layers of skin. Always go about upward and outward strokes. This tightens skin and avoids aging. ► Treat acne. See a dermatologist, get your skin type tested, and go for acne-removal treatments, laser, or dermabrasion. Be cautious, research about the treatments well and find a reputed skin specialist. Chemicals used in such treatments are benzoyl peroxide, salicylic acid, nicotinamide, retinoic acid and kojic acid that will whiten your skin, clean pores, and prevent pigmentation. 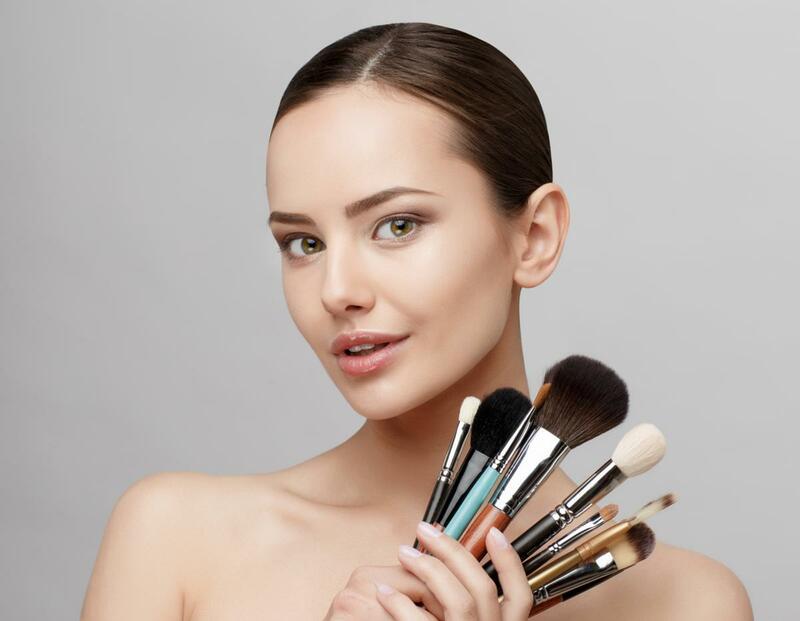 Makeup―the most powerful weapon we have! All of us aren't born with blemish-free, naturally glowing skin, but the right makeup can give the appearance of flawless, porcelain skin. ► Wash your face thoroughly with a face wash that suits you best. Pat dry with a soft, clean towel; moisturize your face and neck area using a moisturizer. ► Now, apply sunscreen. We begin the makeup, but before that, make it a point to apply primer! Use your fingertips to blend the primer evenly all over. This will make the pores look smaller. ► Next apply BB cream (BB-Beauty Balm/Blemish Balm), or foundation that is lighter than your skin tone. ► Take a full coverage concealer that matches your skin tone to hide blemishes and dark circles. With a pointed brush, dab concealer on the center of the pimple. Then, blend around it outwards. ► The next step is highlighting. You can go for either powdered, or cream, it's just that it shouldn't give a dewy effect. We want a matte finish over the T-zone; sweep it lightly across the brow bone, tops of cheekbones, inner corner of eyes, and on cupid's bow of lips. You could use a blusher in hues of pink and peach, giving you the required natural appearance. ► Don't overdo. Make sure this makeup looks natural. ► Ginseng is a Chinese herb known for its medicinal uses. It has a lot of benefits like―boosting energy, reducing stress, increasing stamina, along with skin benefits like―toning up skin (both inner and outer layers), fostering blood circulation, and has anti-aging properties. ► You could either eat it or drink it. We would recommend a cup of ginseng tea per day―an effective solution to achieve porcelain skin. 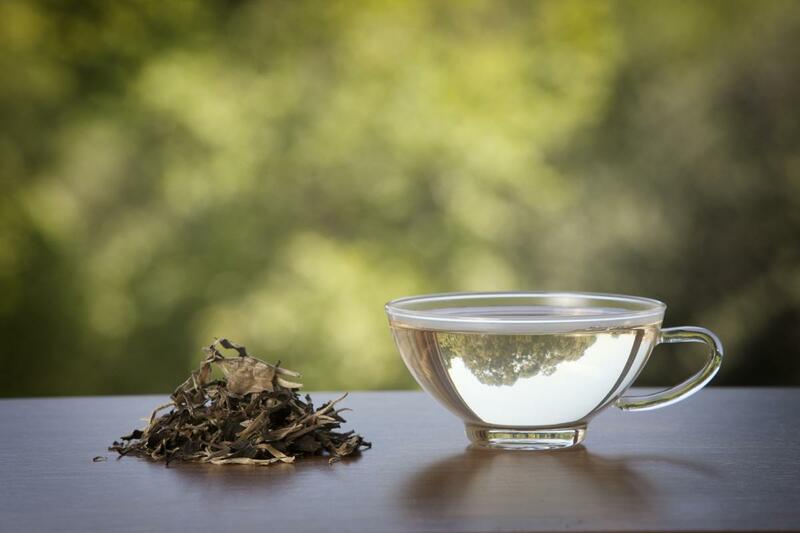 ► White tea is prepared from fresh leaves of Camellia sinensis. These leaves are rich in antioxidants. Instead of regular tea, include white tea in your diet. ► Yes, the direct source of carbohydrate, rice! Rice has skin-protecting properties. It is also rich in antioxidants. 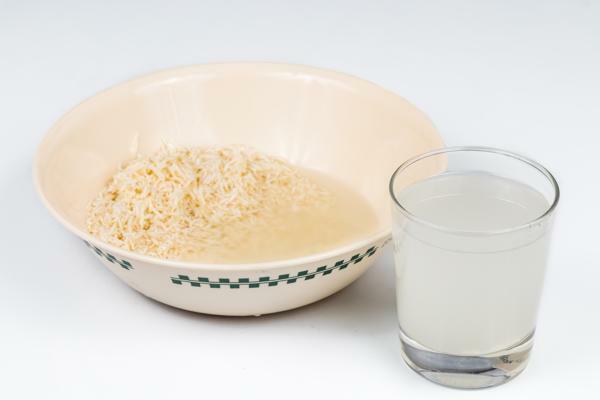 ► Rice water helps in reducing blemishes. After you wash rice, preserve the water. ► Wash your face with clean water first, followed by rice water. ► You could also infuse this water in your facial packs. ► Mung bean, also known as moong bean, green gram, and lentil has many beauty-oriented benefits. It enriches the skin tone, clears pustules and zits, and is good for hair and nails too. ► You could have mung beans soup (boil them) or include it in your veggie list. It is not just palatable, but highly beneficial. ► Imagine having a porcelain skin with chapped lips! Cleansing removes dirt from your face as well as lips, thereby decreasing dirt buildup. Gently apply lip balm, or any glycerin and Aloe vera-based lip care product on your lips. For best results, apply every morning and before going to bed. ► In lipsticks, avoid bold and harsh colors. Opt for rose, sandy pinks, and soft apricots to gloss your lips. ► Keep your hair clean, as dandruff can clog into skin pores and gives rise to acne. ► Do change the pillowcases frequently. Just keep it light and natural, and feel the beautiful You!